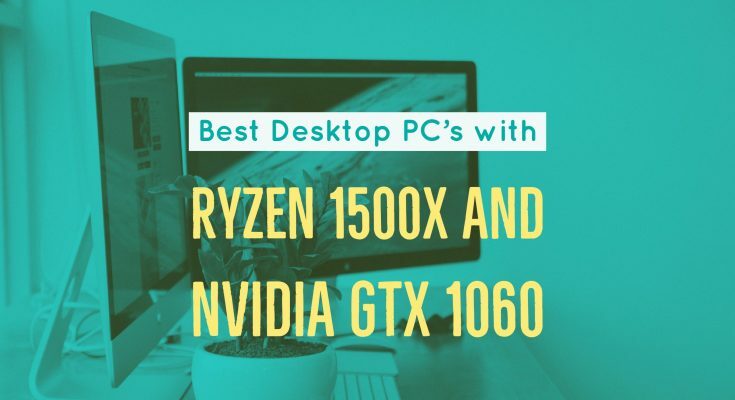 In this article, we have listed down the best Ryzen 5 1500x desktop PCs from the market. Why the Ryzen 5? Well, it has the perfect balance between price and performance. With eight threads and a high base, close makes it an attractive gaming platform. Most games do not scale well beyond eight threads and paying extra for those extra cores may not make sense at all. Unless of course, you are into video editing or heavy content creation. 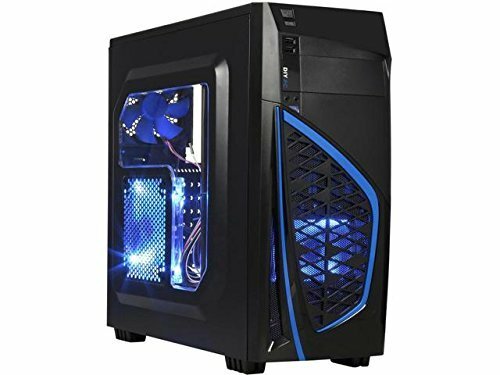 Most of the times, most of the gamers would recommend having a gaming rig built by themselves rather than buying a pre-built computer. Certainly, it is quite useful when you want to apply a lot of personalization, say a theme to your gaming setup and get the top-notch performance out of each of your component through manual configuration, overclocking and all that stuff. However, there are many fallbacks too, of building a gaming pc from scratch yourself. When building, we are confident that you will be ordering each component from different brand/manufacturer. In this case, when something goes wrong with your rig, you first need to figure out what part of the computer is causing the problem and then call respective support team of that brand. Moreover, the warranty will be different for each of the part. This can get quite confusing, right? On the other hand, prebuilt gaming computers can make things much easier for you. With a little expensive price tag, they give you a professionally configured rig so that you can get most out of your money. These builds are available for every category, from beginners to pro gamer and live streamers. It is a well configured and impressively designed mATX build. 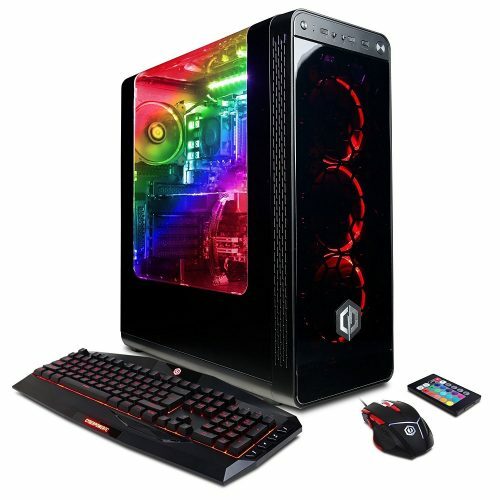 It is fully upgradable and runs most of the modern games including the league of legends, Dota 2, Counter strike Go, GTA 5, Overwatch, Far Cry, Battlefield 1, Mass Effect series, etc. 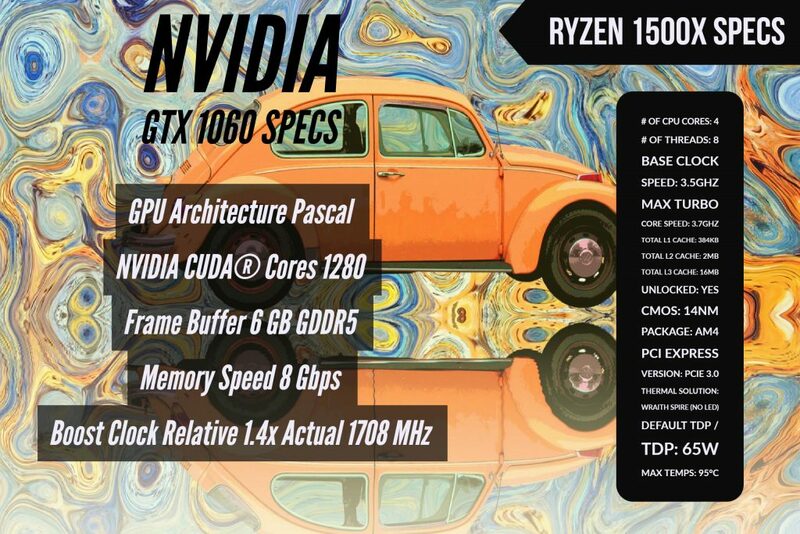 What makes me include this build is that they are offering upgrades as per your demands. Means if you want 16 GB RAM instead of default 8 GB, you can request that. It looks quite cool with a stylish gaming case paired with triple blue LED fans. Blue striping on the front of the case matches with the lights inside. 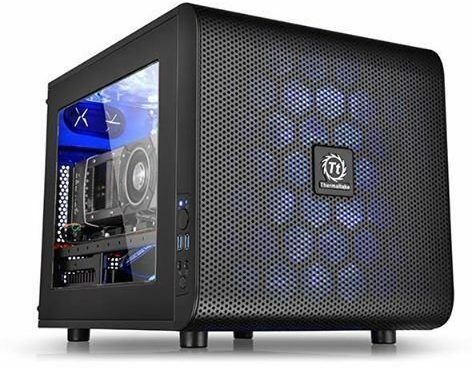 It is a mid-tower case that is considered space efficient when it comes to mATX MOBO builds. With looks, it delivers impressive performance as well. It has a 240GB solid-state drive that makes your OS faster, and your games load faster. This one is quite a simple build. It does not offer an HDD or a pre-installed operating system, giving you the space for personalization here. Instead, it has a 120GB solid-state drive. The case is a simple with red striping in front. There is space for installing cooling solutions on all sides. One side is transparent so you can install red LED stripes inside for a cool look. 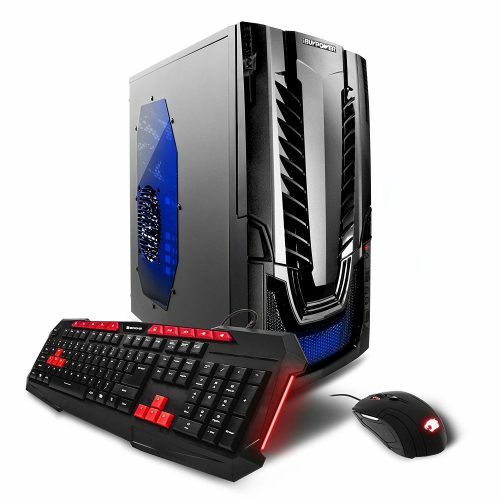 CyberpowerPC is known for their gaming builds. As expected, they deliver the build in all-set to plug-n-play condition. All the components inside four without losing ends at any point. 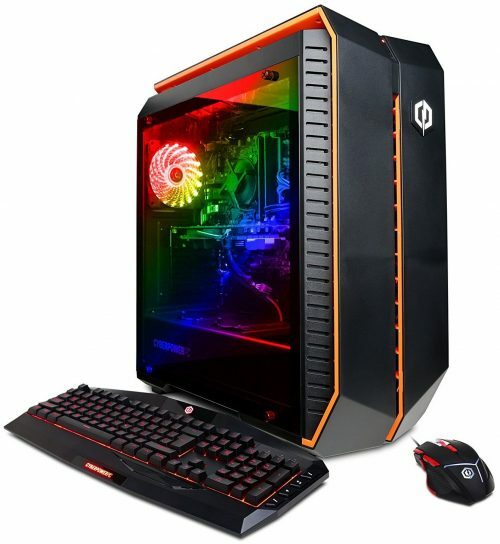 The case looks stunning with the orange striping and RGB lighting from the transparent side panel. The build is ice-white with black grill and port-plate in front. 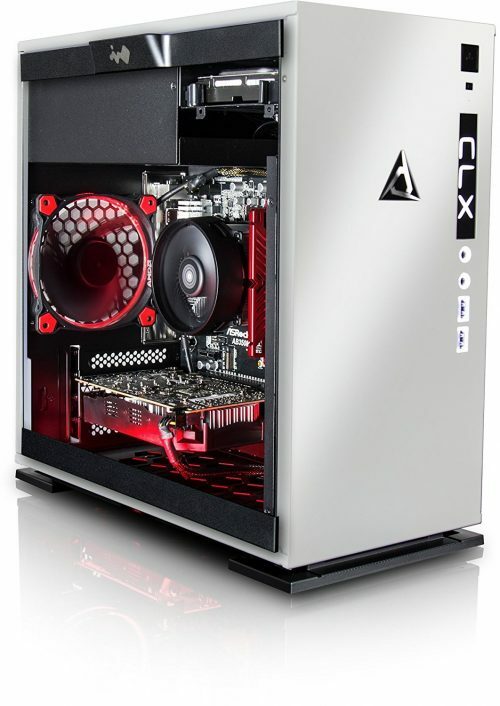 Talking about the inside beauty, it has got a back panel 120mm fan and 2x 120mm fans in front. 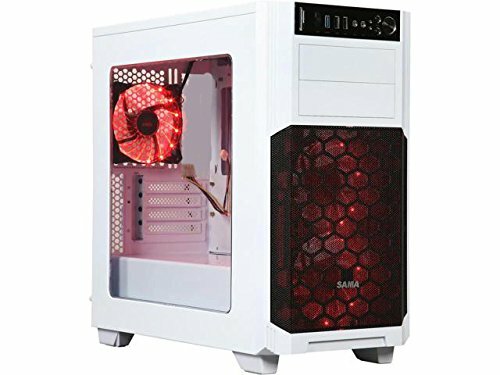 All of three fans have red LEDs. This red and white combination looks great in deem light situations. It has got both SSD and HDD as storage options. Inbuilt wi-fi is also there. Centaurus offers three years of warranty on components on this build. This one is a VR ready build with the silver body outside and RED and black combination inside. You can simply plug and play your VR tool without any additional setup. 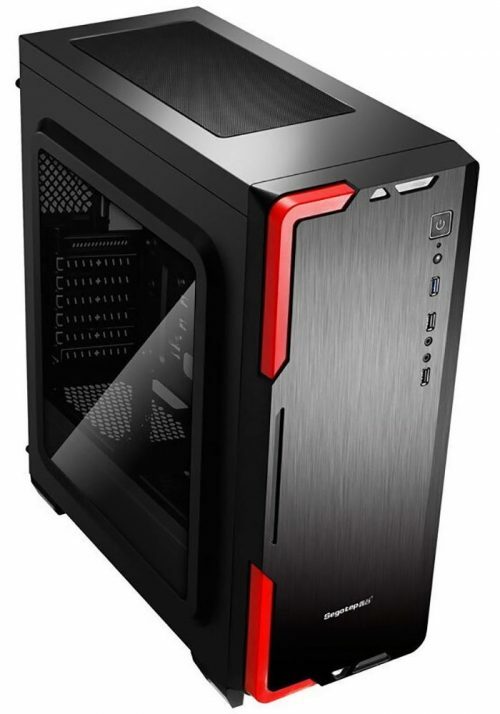 It is a mid tower case with transparent tempered glass side panel to enhance the stylish look of inside LEDs. The build is very well-designed both in looks and performance. This build goes beyond what you can expect from a PC of this budget. This is a beast both in looks and performance. The grill on the front side of the case is fresh. Under this grill is the small dotted grill, reflecting the blue LED light from inside. Despite not having an SSD, the loading time and operations speed is quite impressive. We hope you like our compiled list of the best Ryzen 5 1500x Desktop PCs currently available on Amazon right now. For any questions or suggestions, feel free to use the comment section below.